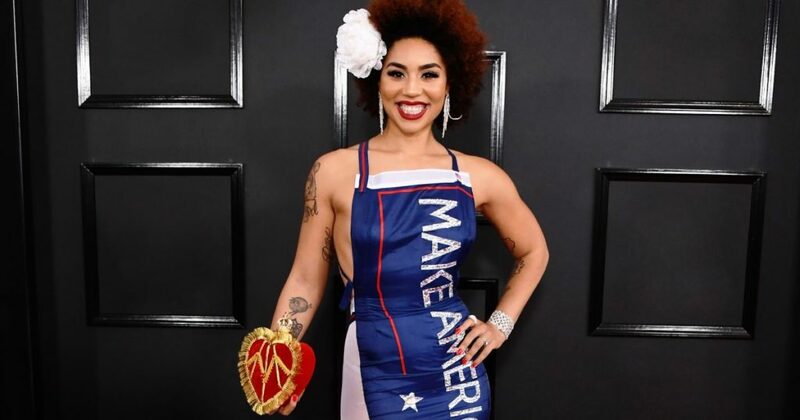 Joy Villa is an American singer, songwriter and political commentator who first made headlines after wearing a “Make America Great Again” dress at this year’s Grammy Awards. She later gained further notoriety after filing a complaint against Donald Trump’s former campaign manager, Corey Lewandowski. Lewandoski allegedly slapped Villa’s backside without any consent from her. A video captured on a smartphone slightly discredits her argument, as the footage shows her doing the same to a man at a party. On the video, Villa asks the person filming, “Is this live?” while sipping from a glass, laughing and joking with several women off-screen. She approaches a man nearby that appears to be a friend of hers and pretends to smack his buttocks, only to do it for real a few seconds later. “Take it easy,” the man says, before returning to his conversation at a table as laughter erupts around him. It’s difficult to tell how offended the man was or wasn’t by the encounter. The sexual harassment Joy Villa was victim to took place at an invitation-only party to celebrate Trump’s first year in office. She claims Lewandoski slapped her rear end after a guest pushed her towards him for a photo. “I said, ‘Watch it,'” the singer told Politico “Half-joking, I said, ‘I can report you for sexual harassment. '” And to that, she recalls Lewandowski answering, “Go ahead, I work in the private sector,” and then proceeded to smack her backside again.